For professional piercer Lexci Krahn, everyone's first piercing should be their own choice. She won't work on infants because they can't look you in the eye and tell you how they feel about it. I will never forget the last time I pierced a baby's ears. She was a little girl about two months old — not much bigger than a loaf of bread. Her mum held her swaddled and tight to her body while her grandmother stood by as I poked a 1.5-inch needle into her teeny tiny earlobe. The baby's toothless mouth opened in that silent, choking scream that babies make when they're really upset. This helpless infant didn't even have the reflexes yet to brace for a fall, but she instinctively pulled her little shoulder up to protect her injured and reddening ear. As a young body piercer with only two years of experience, that event smacked some sense into me. That day was the last time I ever pierced the ears of a child too young to tell me how he or she feels. That baby didn't want her ears pierced. We wanted her to have her ears pierced. That day would likely be that little girl's first experience with consent being taken away from her — for the sake of fashion? Tradition? Someone else's interests? I refused to again pierce anyone I couldn't look in the eye and have a conversation with. 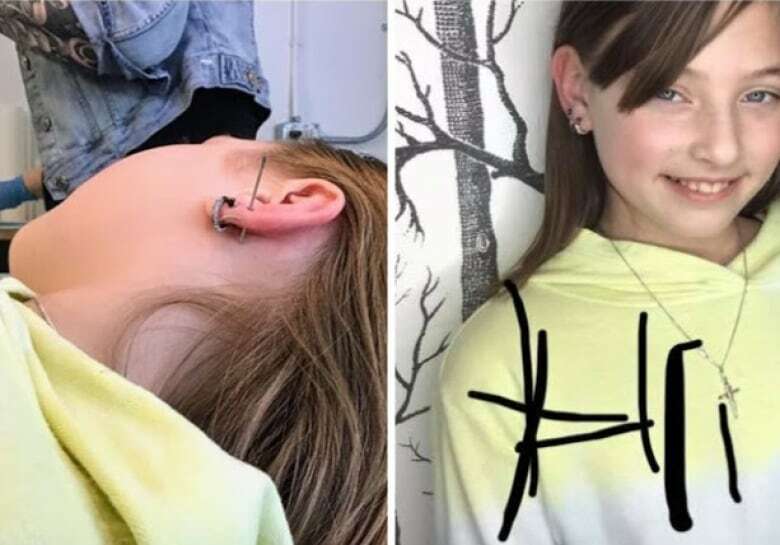 In my experience, I have found that kids around four years old are able to accept that earlobe piercings are a responsibility — it can hurt to get them and if you want to have them you have to ask for them and stay still. Crying is allowed. A little yelp can be expected! The outcome is always positive. I can't tell you how many times I have watched a brave but nervous child hop off the piercing table and look into the mirror — sometimes with tear-stained cheeks — and smile back at themselves with a newfound confidence. It's very rewarding. The initial interaction with the child usually always puts them at ease that I am here to work with them, and not on them. I make it very clear that if they change their mind, it's no trouble at all to stop and maybe try it again another day. The choice is theirs. 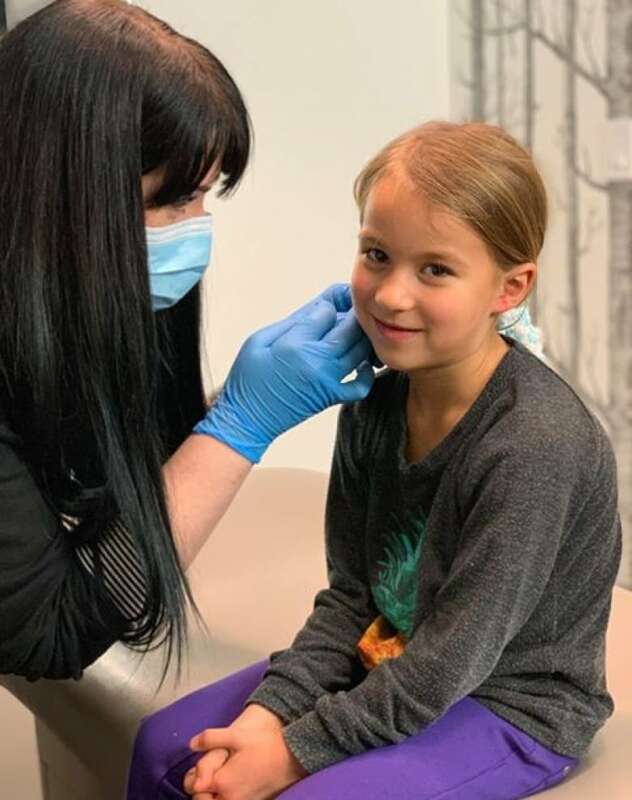 For many of my little clients, their decision to get their ears pierced is often their very first experience with making a decision for themselves and for their body. It's also very often their very first experience with consent and personal autonomy and it's an honour to be a part of that experience. I speak to the child directly. I use their name. Before I so much as tuck a curl behind an ear to expose a little earlobe to clean and mark I make sure to ask, "May I touch your ear?" And I wait for the answer. Sometimes they need an extra second to take a breath or hold on to a teddy and then it's okay. The trust is made when they know their answer was heard and respected. In light of the recent story regarding a chain jewelry and ear piercing company telling employees to allow parents and staff to hold children and babies down in order to pierce their earlobes, I want to further expand on how adults can help facilitate children in their quest for a safe experience. A child cannot fully comprehend the responsibility and potential risks involved in an invasive cosmetic procedure such as body piercing, and that's where parents and professionals have to do right by the children in our care. Piercings that are done with a piercing gun do not utilize the safest practices in infection control, mechanical design, jewelry quality, design, placement and sizing and even aftercare. When we allow children to advocate for themselves, we are still obligated as guardians to ensure that we are offering them the options that are the safest and most comfortable. Not just for the initial piercing, but for the healing process and after. I do earlobe piercings on folks who are four years old and up. I do them the same way for everyone using a one-time-use, pre-sterilized, disposable needle and implant-grade body jewelry that is selected and sized for the person's unique anatomy. The piercing is just as quick and efficient, it is silent and gentle. It's time to move forward and for us all to learn that consent starts younger than we may have realized in the past and that it's up to the grown-ups to facilitate the safe exercise of it. Watch how Lexci Krahn approaches piercings with 5 year old Kendra. 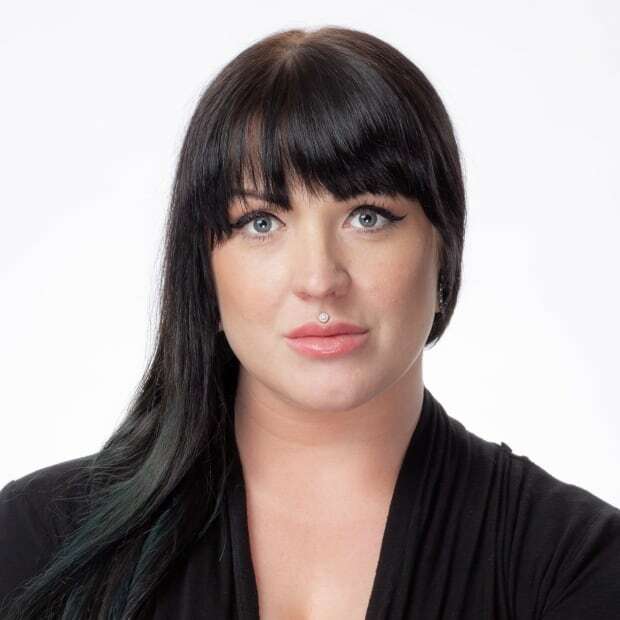 Lexci has worked for over 17 years as a professional body piercer and is the owner and piercer at Red Loon Tattoo & Piercing. Lexci travels around North America as a trainer with Health Educators hosting seminars on Bloodborne Pathogens and Principles of Infection Control.